Figure 1. Long Black Candle (basic candle). 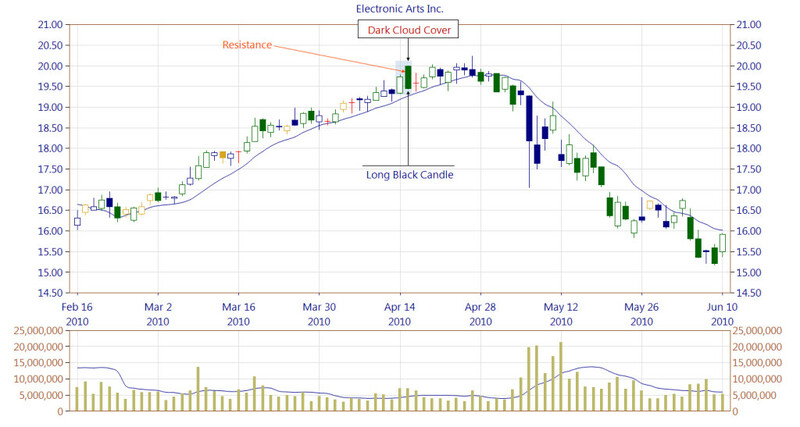 This article describes the Long Black Candle basic candle. In literature, the Long Black Candle is called as a Long Black Day. We use the term Long Black Candle, however, as the day term is ambiguous when using intraday charts. 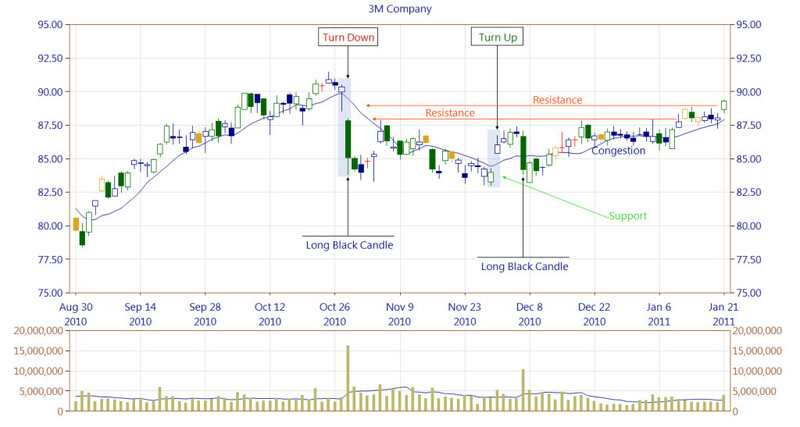 A Long Black Candle is usually considered as a continuation pattern. However, its correct assessment should depend on the particular situation in the market. When a Long Black Candle occurs in a downtrend, it intimates the continuation of the trend, but it can also be part of a reversal pattern. Its occurrence in an uptrend may be a precursor of the trend change, especially if its close is lower than the closing prices of the previous candles. Apart from a single occurrence after the price increases, the Long Black Candle can also be a part of other reversal patterns (i.e. all patterns, which contain White Candle). Similarly as with the Long White Candle, this candle may form an important resistance area (especially when trading volume also increases on that candle). The resistance level appears within the middle and the high price of such a candle. Others treat it as a resistance zone for the whole Long Black Candle. When a Long Black Candle breaks some previous support region, it should be considered as a significant fact signalling the downtrend's strength and its further continuation. Figure 2. A Long Black Candle being a second line of a Dark Cloud Cover pattern. The figure shows how the Long Black Candle formed a strong resistance zone. 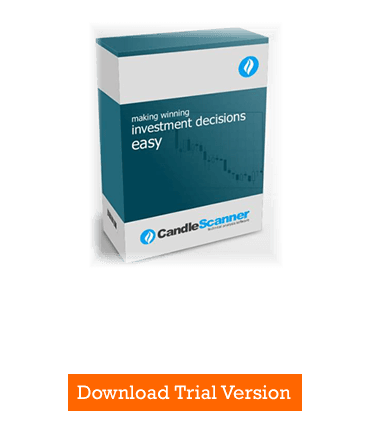 A crucial factor to notice is the creation of the candle at a high trading volume. Figure 3. A Long Black Candle as a second line of a Turn Down pattern. The strength of the first occurrence of Long Black Candle is reinforced by the gap from the previous day and a very high trading volume. The chart shows how powerful the resistance zone of the Long Black Candle was over the next few days. The occurrence of a Turn Up pattern (pay attention to trading volume that is above average on the appearance day) formed the support zone thanks to the gap between the first and the second day. The second occurrence of Long Black Candle (high volume) could not break the support area and, as a result, for a longer period the market found itself in the consolidation area between $84.00 and $87.50. During the consolidation phase, most of the candles are spinning tops which indicate the lack of determination among market participants.